Right after Hurricane Katrina, the New York–based Joan Mitchell Foundation started supporting artists in storm-ravaged New Orleans. It is now establishing a retreat for promising painters and sculptors. The facility itself will cost an estimated $12.5 million. The retreat will be sited in a 1798 West Indies–style plantation house on Bayou Road, but the foundation also bought the adjoining corner store to use as a meeting hall along with five small apartments to be renovated into living spaces for visiting artists. Finally, a $4 million group of state-of-the-art studios designed by a premier architecture firm in New Orleans will be added. Joan Mitchell, for whom the foundation was named, was herself an artist, and she set the charity up to benefit fellow artists. It was expected to be a modest endowment funded by the loan and sale of her personal collection of paintings, drawings, and prints. But after Mitchell died, the price of her paintings skyrocketed, with one abstract setting a new record for a work by a female artist. 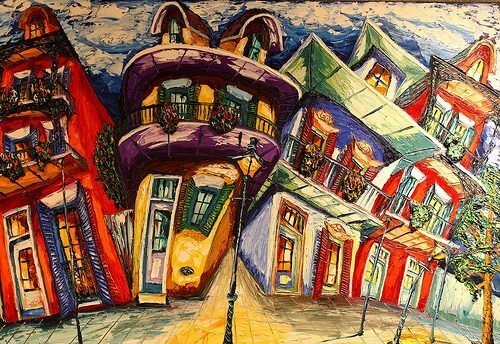 After 9/11, disaster assistance to artists became a focus of the foundation, which explains the connection to New Orleans. In 2010, an exhibit of Joan Mitchell paintings in New Orleans solidified the connection.